(14 June 2018, Hong Kong) – Knight Frank, the leading independent global property consultancy, is pleased to announce the appointment of Wendy Lau as Senior Director, Hong Kong Office Services. 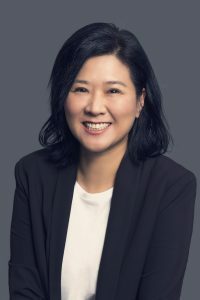 Wendy has over 20 years of real estate experience in Hong Kong, she will be joining us as an experienced broker with a focus on formulating real estate strategies for occupiers and landlords, and further expanding our market share while delivering customised solutions to our clients. Prior to joining, Knight Frank, Wendy worked as an Executive Director in Colliers International, where she was responsible for leading a team of 25 brokers. Wendy comes with a proven track record in representing tenants on Hong Kong Island. She has concluded some of the most notable leasing deals, totalling more than 8 million sq ft of transactions for clients including: Alibaba, Philip Morris, Allianz, AXA, Sunlife and General Electric.